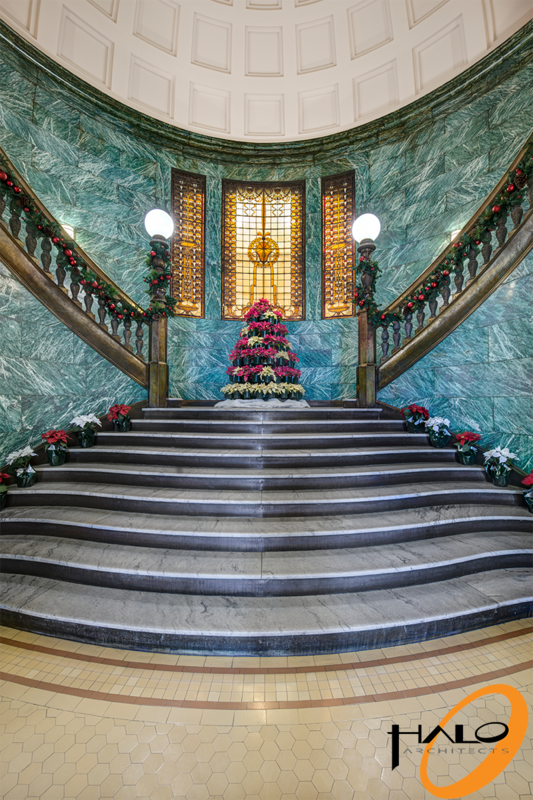 The original City Hall building of Colorado Springs, CO was built between 1901 and 1905 and served as a core governmental building for Colorado Springs from 1905 until 1997. 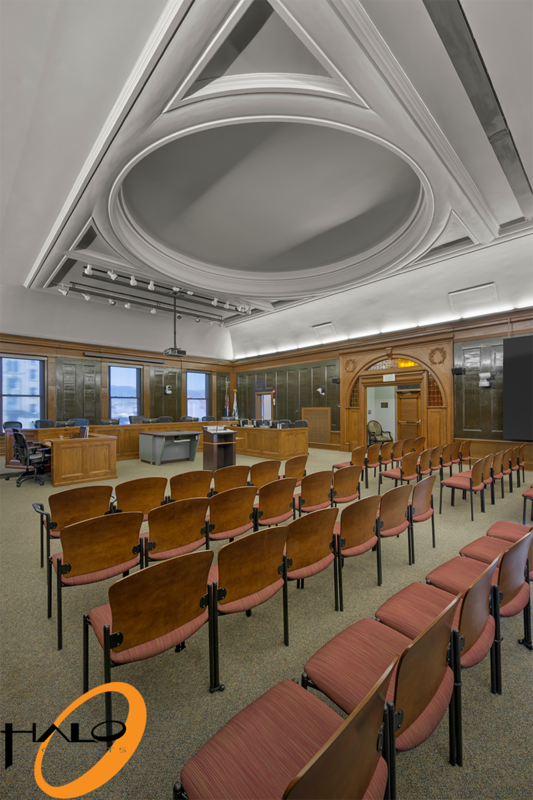 The City Hall building had been unoccupied since 1998 when a new court building was completed. Prior to an 18-month renovation in 2001, many previous interior renovations caused the once detailed interior to be unrecognizable. 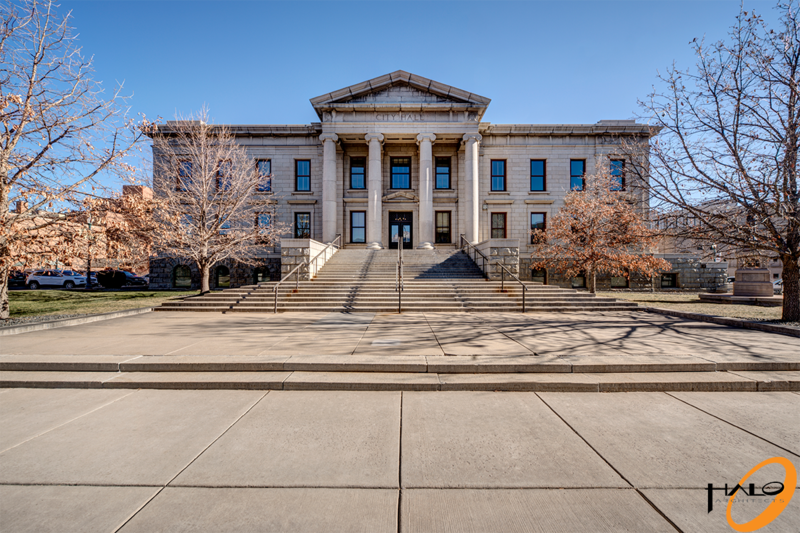 It was the task of Stan Robertson and his team to bring the existing historical City Hall back to its original character along with designing an addition that would meet with the historic guidelines developed by the Colorado Historical Fund, all while working within the budget and code restraints. 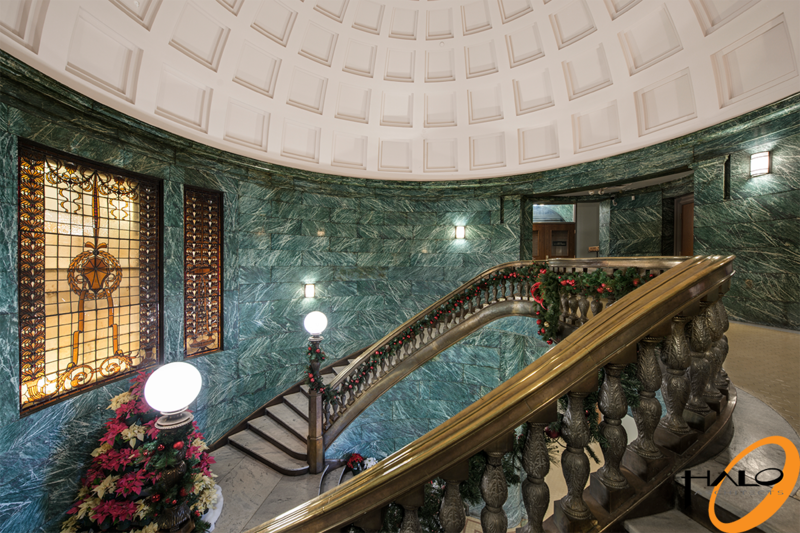 One major element of the interior restoration was to remove and refurbish the green marble from the walls surrounding the front entry and the grand staircase. The green marble was carefully cataloged so the construction team could replace it once the marble was cleaned and restored. Also, the new addition Stan designed reused some of the original green marble. The design had to be well thought out so that the green marble could be integrated with a historical context. The other task Stan had to accomplish was updating the Old City Hall’s accessibility. 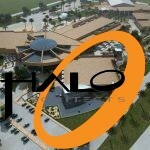 The facility was lacking in ADA compliance and a large portion of the budget was allocated to this scope. The design accomplished this by using the addition as the building’s main entry, which aided in the accessibility, circulation issues, and security.